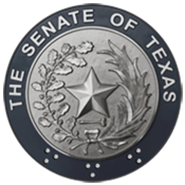 AUSTIN – Senator Peter P. Flores announces Jennifer Coffee as his Legislative Director and General Counsel. Coffee most recently served as Assistant General Counsel with the Texas A&M University System in the student affairs and special projects group. Previously, Coffee served in policy positions with Senator Craig Estes during the 83rd Session and Senator Chris Harris during the 82nd Session. Coffee starts immediately. Coffee earned a B.A. in psychology from Texas State University and a J.D. from South Texas College of Law in Houston, TX. "Jennifer has the combination of policy and legal experience that make her an ideal fit to take the lead on our legislative agenda," Sen. Flores said. "She will be integral part of translating policy ideas into legislative action for the people of Senate District 19 and this great state."